A brush is a brush. Place the brush inside the recipient to clean and scrub vigoroursly or gently depending on the fragility of the object. Make circular movements if the base of the recipient is large. On the contrary, if the brush is constrained by the sides, like in a baby bottle for instance, roll the handle between your hands. 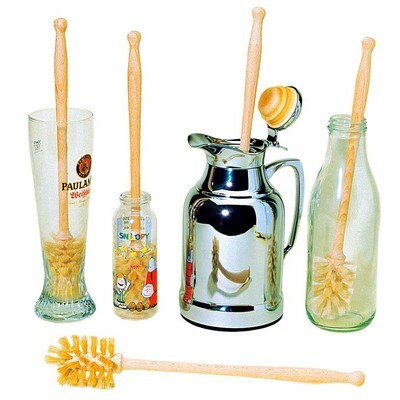 With its height of 35cm, your brush will adapt to bottles and carafes with a bottle neck of at least 3cm in diameter. Its rigid wooden handle gives you solid handling for a perfect rub. The round shape of the brush and the length of its horsehair bristle offer the perfect compromise for scrubbing that is not too abrasive nor too soft. It is recommended you take good care of your brushes if you want to use them for a long time, so clean them regularly as you would with a hairbrush or a nice jumper. 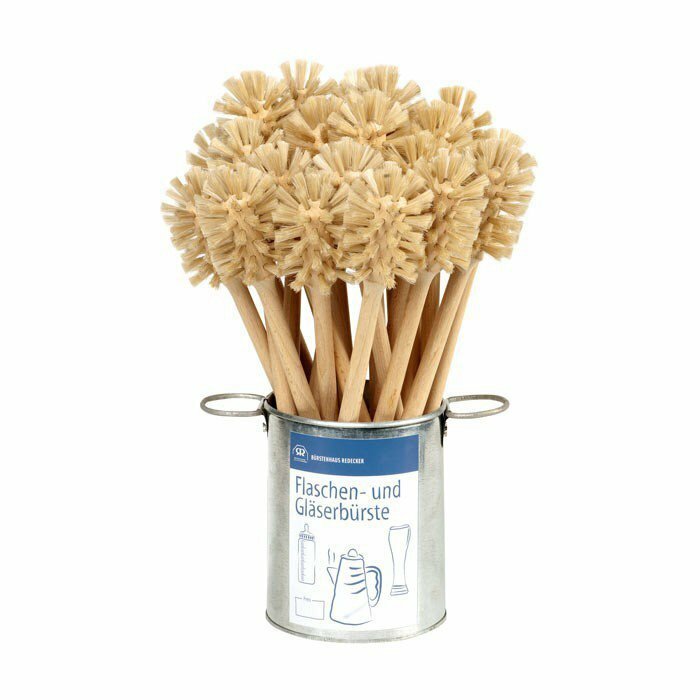 Clean them regularly with soap and water (you can use shampoo for the brushes, they are after all made of horsehair...or washing up liquid). Wring them with a towel and hang at room temperature to dry. Avoid radiators that dry out the soft bristle. Then use a comb, ideally a metal one, for a complete clean of the bristle. Put your brushes away without squashing the bristle of course. 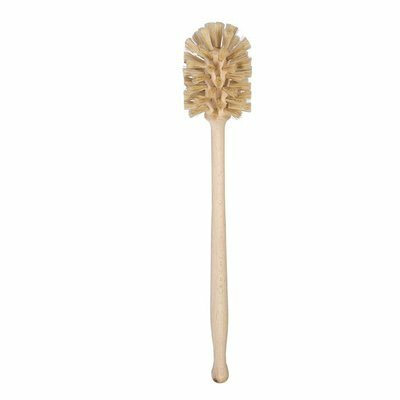 Generally speaking, when the bristle is soft (which is not the case for the bottle brush) hang it head down so as to keep it in shape i.e. nice and straight. quality - an object from nature made of wood and horsehair will always be nicer to look at and have a softer touch than the same object made of silicone and nylon bristle. 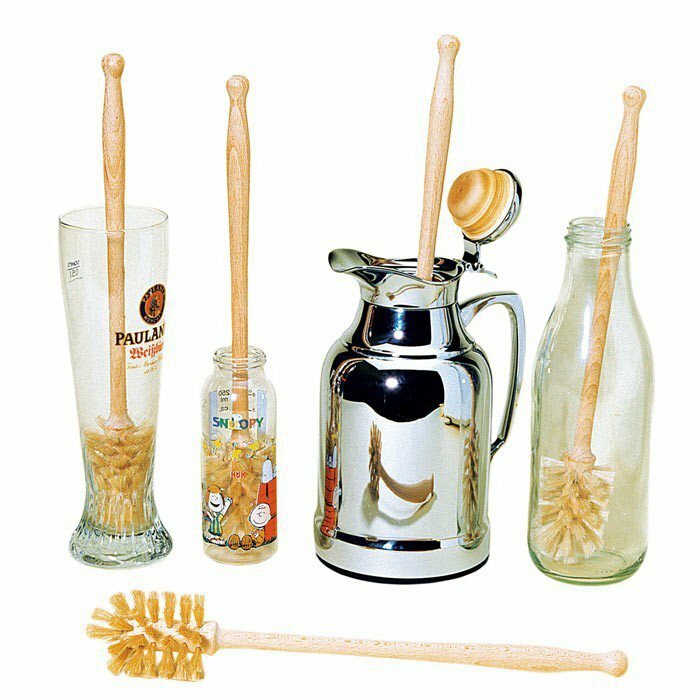 versatility - you will use this brush to clean your bottles obviously but probably many other things: you're the one who knows!